Cristina Aguilar is a solicitor with a vast experience in immigration and labour law. 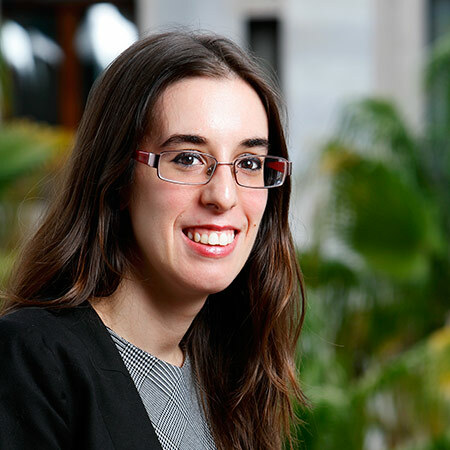 In addition to her professional activity as a solicitor she acts as an associate professor for the Business School Big Data ISDE and Aula Real Estate. She was born in Barcelona and holds a law degree from the University Pompeu Fabra in Barcelona as well as a Postgraduate degree in labour law from the IDEC – Pompeu Fabra, a Master’s degree in business law and a Postgraduate degree in immigration law from the Barcelona Bar Association. Before joining the firm, she worked as a solicitor for Gruplegal, Oriola Abogados and Sumarroca Legal.